In the words of the developers: "retrofy your hi-fi system". 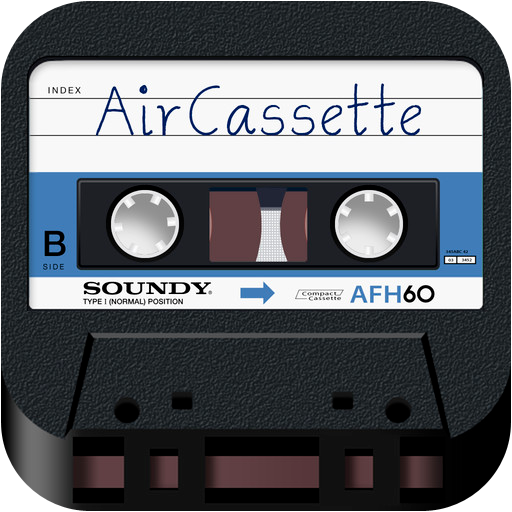 As someone who remembers (and indeed owned) one of the first Philips cassette decks, this is a real retro App. When it comes to (relatively) highly rated Apps, some are extremely useful, and some have brilliant graphics; this one falls into the second group. There are, of course, also those rare birds that meet both criteria. You start with a screen listing the music on your iOS device by artist, album, or song. Choose anything and keep it help to 'add to queue'. This is, effectively, identical to creating a playlist. Now pick a cassette from a choice of colours that will bring memories flooding back. Choose the cassette icon (including the much-acclaimed TDK SA Series and some with deliberate spelling mistakes to get around copyright issues) and see your songs as you would have 40, or more years ago; great fun. You can even see the cassette rewind or fast forward, as well as playing. The App costs $2 and there is an in App purchase for $1 for a Cassette 6 pack. There are the graphics to admire; that is what this App is all about. The App is designed for the iPhone, where it looks and sounds great. On an iPad you can view in 1x and 2x (size makes it look more like an 8-Track) modes, although I couldn't get any sound. There are no issues, unless you start sharing your playlists via Twitter or indeed e-mail; these are of course, very slight risks. Nostalgia... who said it ain't what it used to be? You can get AirCassette here and support for the App here.